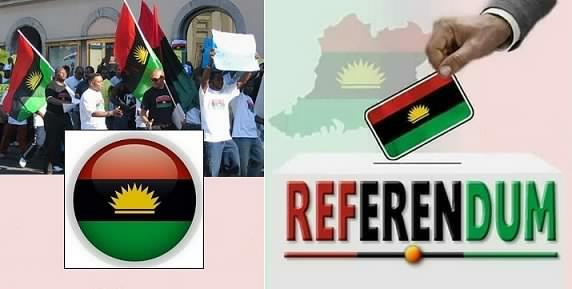 A call for a Biafran referendum is not a call for War. In fact, it is a peaceful process towards Biafran restoration. It is an opportunity that allows people to decide where they want to be, either Biafra or Nigeria. As the saying goes, Power belongs to the people ". It is the right of the people to make a choice, unlike the war, where people are forced with guns and bullets against their will. If Biafra is restored through that way, the journey has not ended because those forced to be where they don't want to be will at long run begin to cause trouble again, making it impossible for the country to progress. Biafrans have fought a war before (1967 – 1970) with Nigeria, they are not supposed to fight another war hence the need for a referendum. 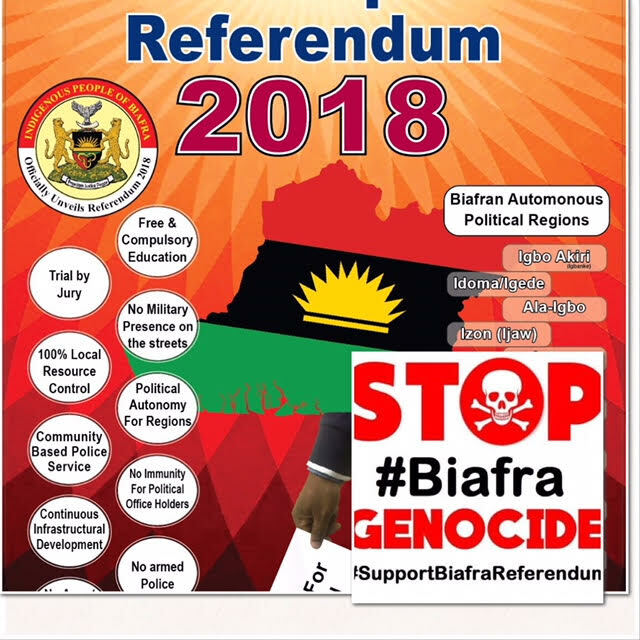 Biafrans have indicated their interests in referendum through peaceful protests where so many of them have been killed without revenge because they are not harmful. It is not that they are afraid of war or if war is the only option that they will run away, no, just as our deputy leader Mazi Uche Mefor would always say “though we are peaceful, if they come to us with war, we will not run away. " Biafrans have proved to the whole world that they are peaceful through peaceful protests, they have not killed anybody instead they are the ones that are being killed on a daily basis. They are no longer comfortable with these killing, which is why they want to put an end to it through a referendum. It should be seen as a matter of importance and urgency to organize a referendum for them or give them maximum support to do that. In other words, as they are planning to have their referendum, the Nigerian army should not see it as an opportunity to attack and kill them again. The world should make sure that these people are protected against attack both within and outside. They have been killed enough, and they have the right to live and make a choice. Biafra is not the only country that has asked for freedom, countries like Croatia, Kuwait, Southern Sudan, Catalonia, South Africa, etc. have succeeded in getting their freedom. Will Biafran case be different? God forbid, we know that it is Britain that is making it difficult for Biafrans to have their freedom because they are parasites- feeding on them, but this time they will no longer succeed. God has exposed their evil plans through Mazi Nnamdi Kanu, whom he is using to restore Biafra. So, no matter how hard they try, God has decided that Biafra shall be free and it must come to pass.